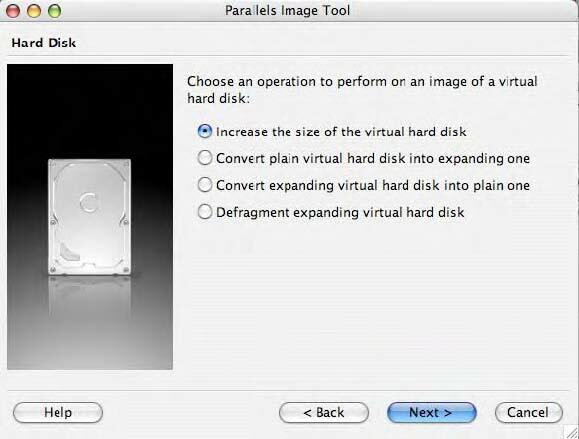 Parallels Image Tool is designed for expansion of the size of your Virtual Hard Disk. 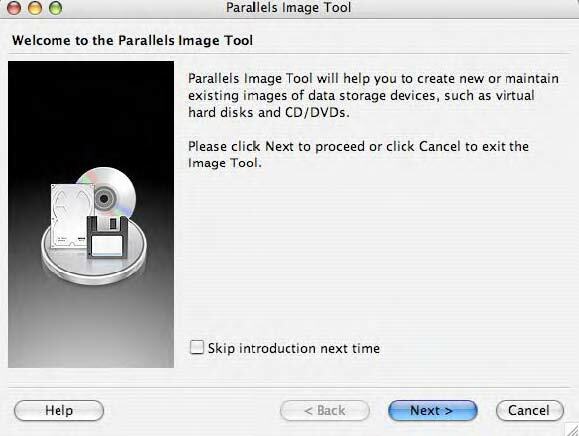 You can find additional information about Parallels Image Tool in your manual (pp. 164-169). 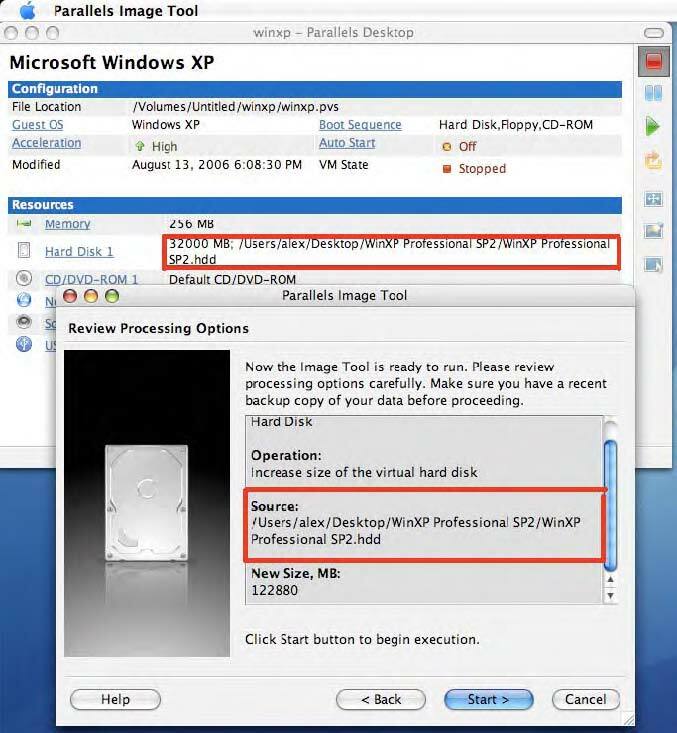 Power-Off your Virtual Guest Operating System. 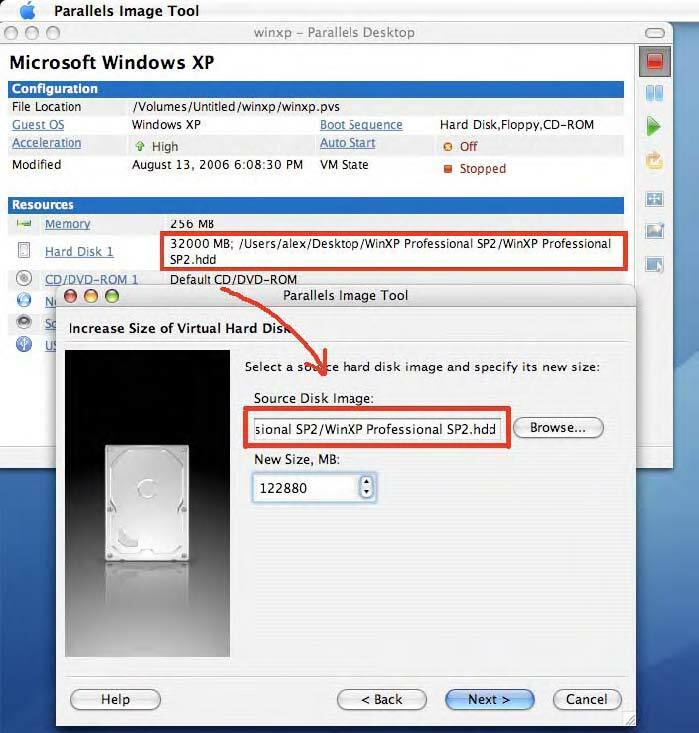 Click “Browse” to select your Virtual Disk Drive for expansion. 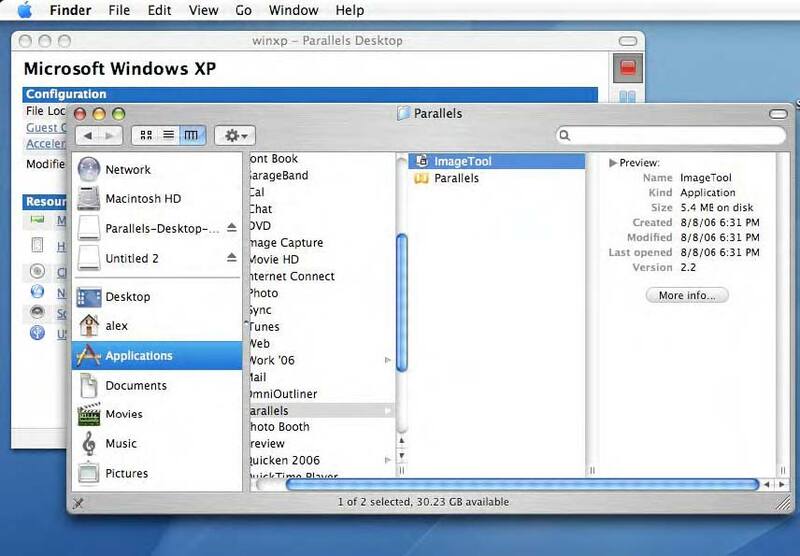 The path is defined in the Configuration Editor Resources section. 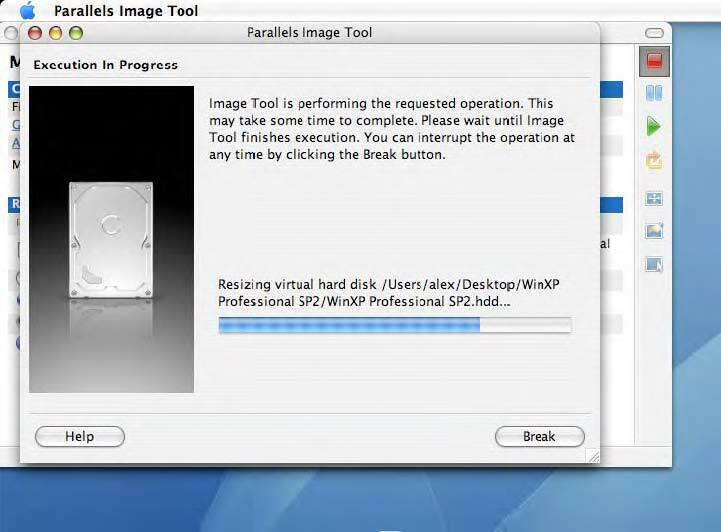 Now the Image Tool is ready to run. 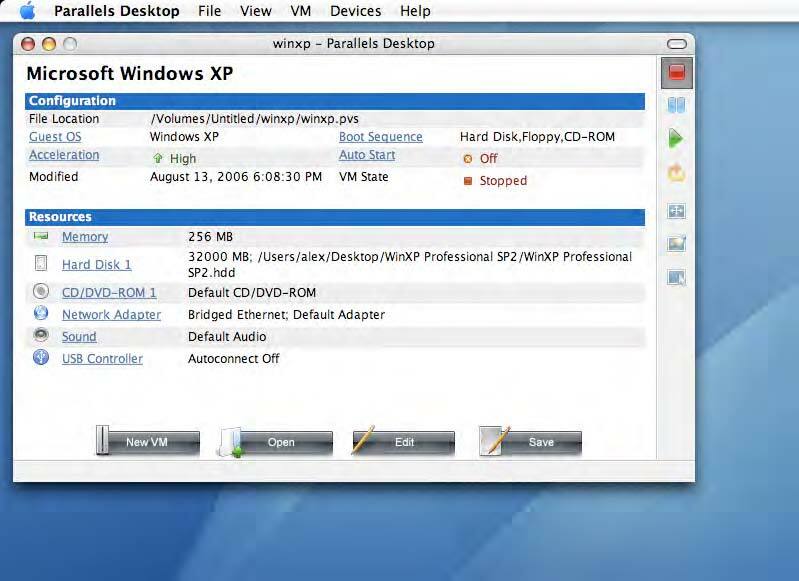 Please verify the options and click “Start”. 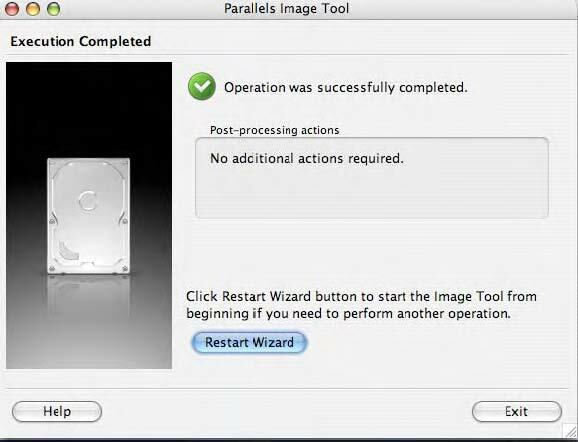 This operation can take some time, approximately up to 5 minutes. 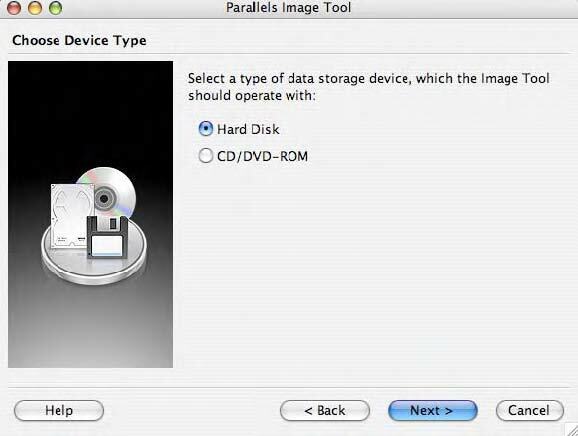 (This depends on the amount of data already stored on your Virtual Hard Drive in the guest Operating System).